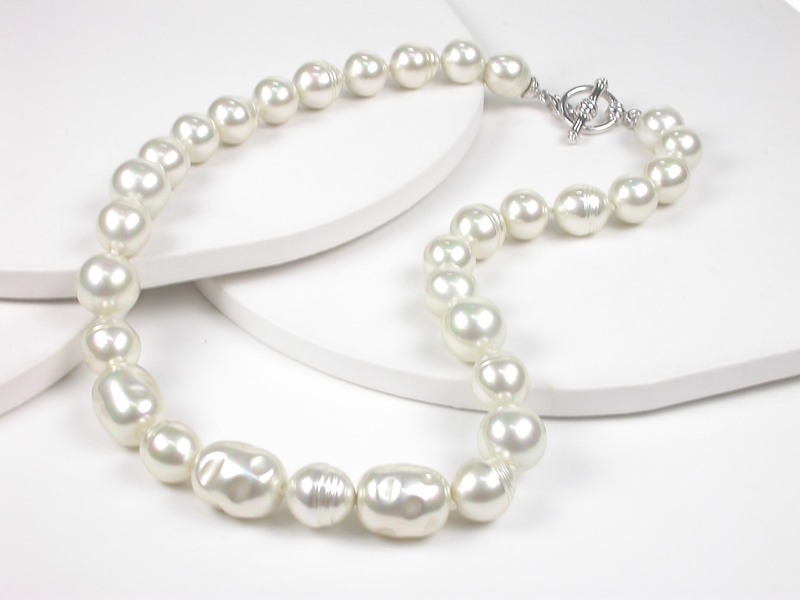 A lovely and unique necklace with white pearls in different shapes created by hand one by one that makes every single Collar an unique piece! 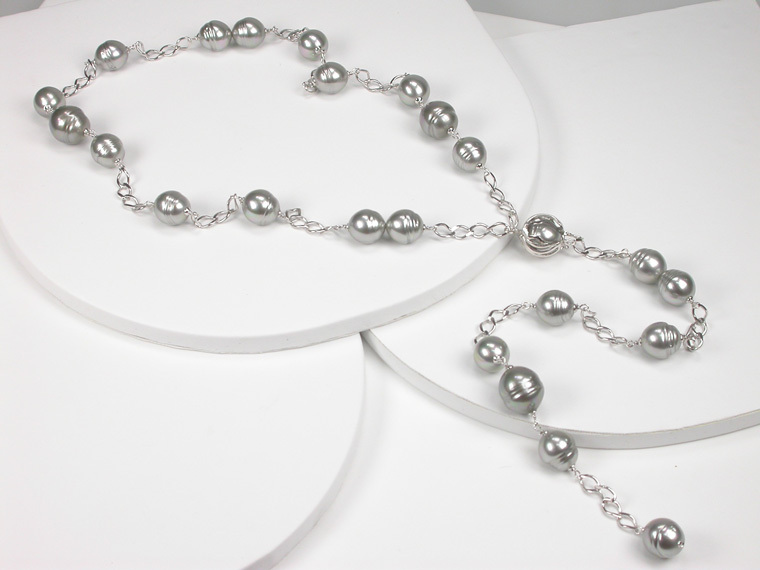 It comes with a decorative clasp in Sterling Silver and the length of the Necklace is 50 cm. Classic 12 mm. 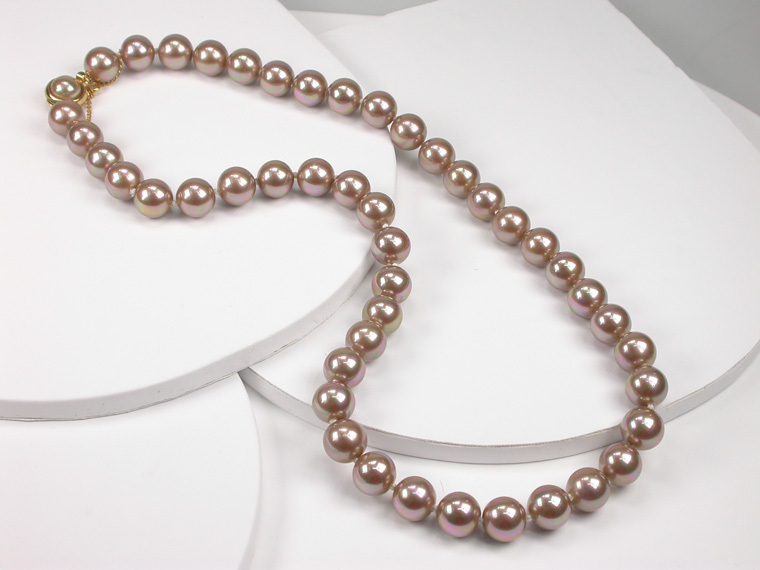 copper Pearls Necklace with a clasp in 18 karat goldplated Sterling Silver and length in 65 cm. 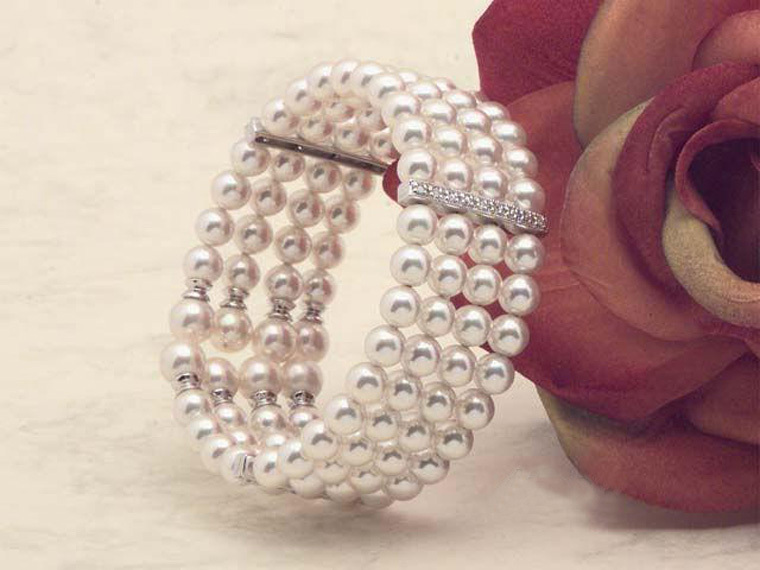 An elegant and classic look - always fashionable! A 90 cm. long Necklace with Pearls in copper tones and stones of Tiger Eye linked together with delicately engraved Sterling Silver tubes. 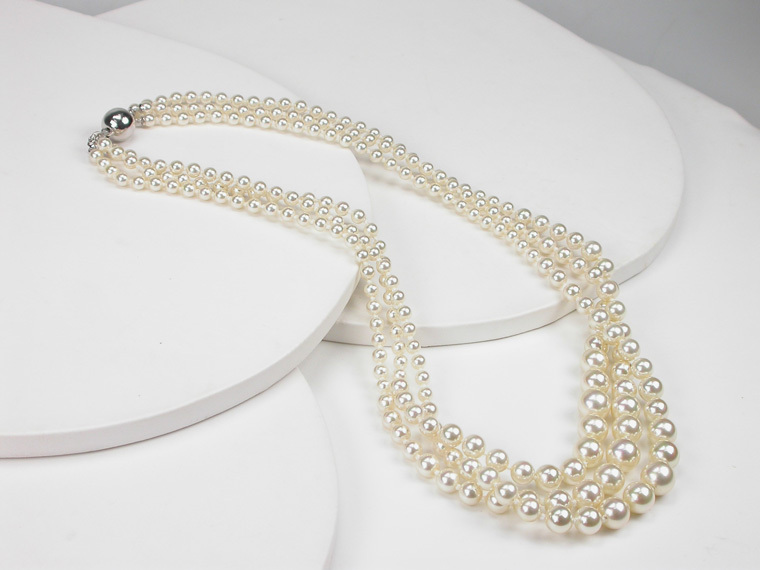 A Classic Necklace that will always be Fashion and the right thing to wear. 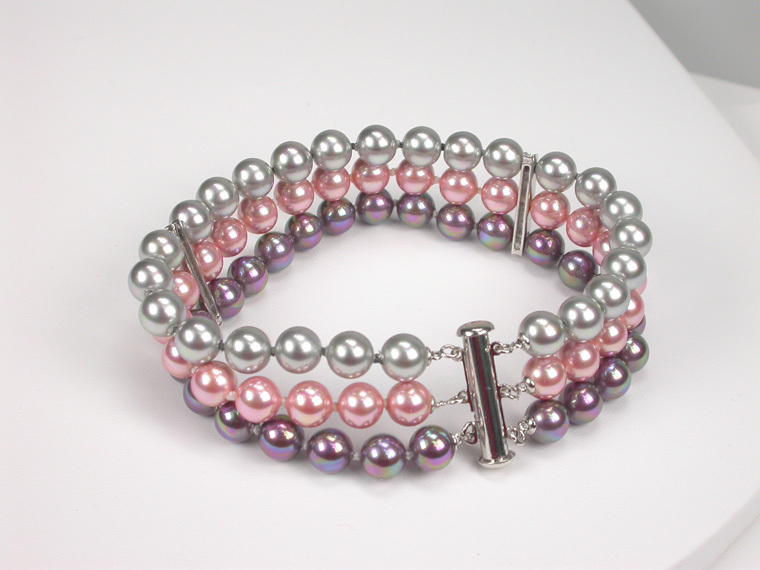 3 rows of 4 to 9 mm Pearls and a clasp in Sterling Silver. The length of the shortest row is 45 cm. 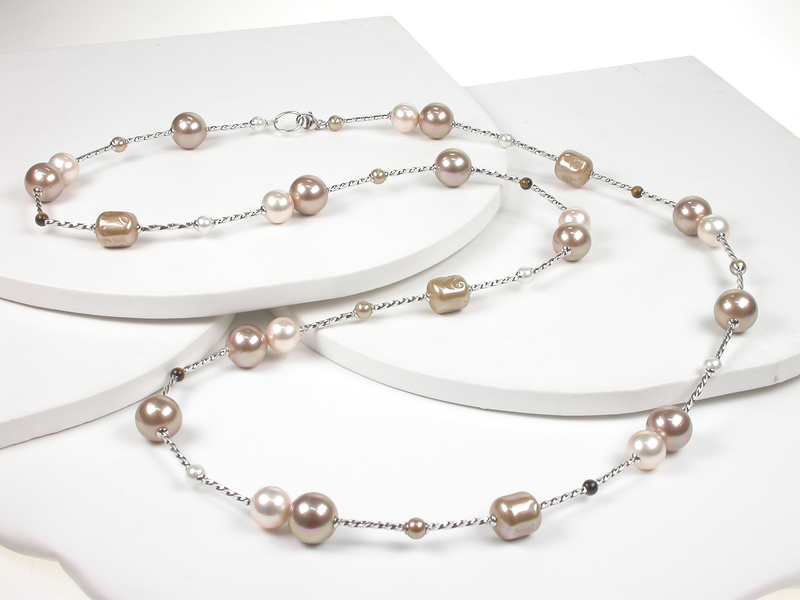 Very attractive and versatile Necklace with grey barroque Pearls linked together by a Sterling Silver chain. 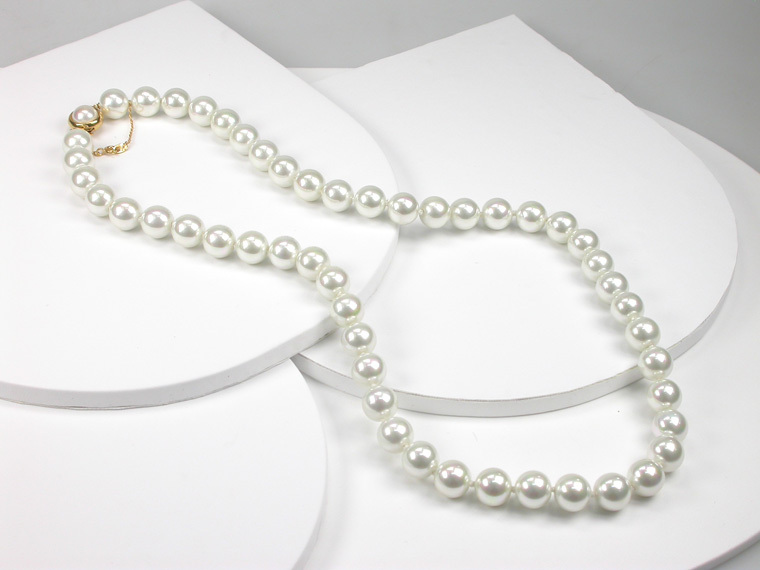 Adjust the length and style by closing the clasp on a different Pearl to get the perfect fitting! The maximum permitted length is 85 cm. 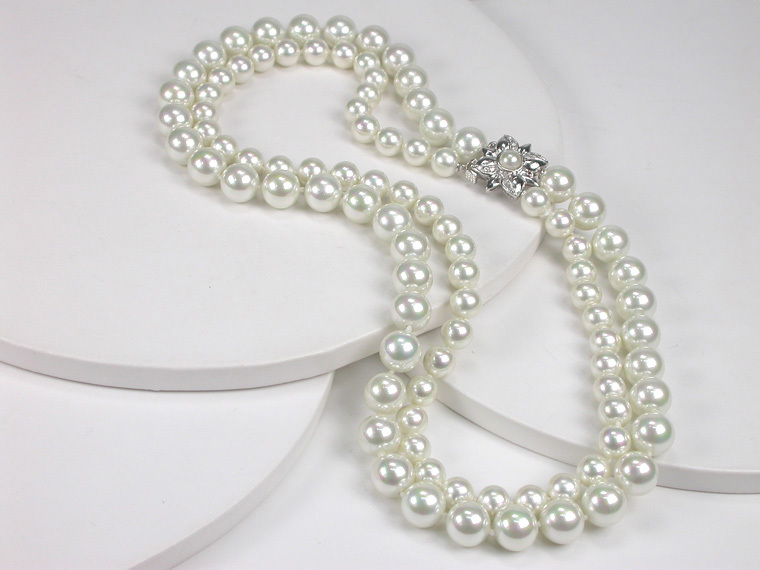 Impeccable for a Special Occasion with this brilliant 42 cm. 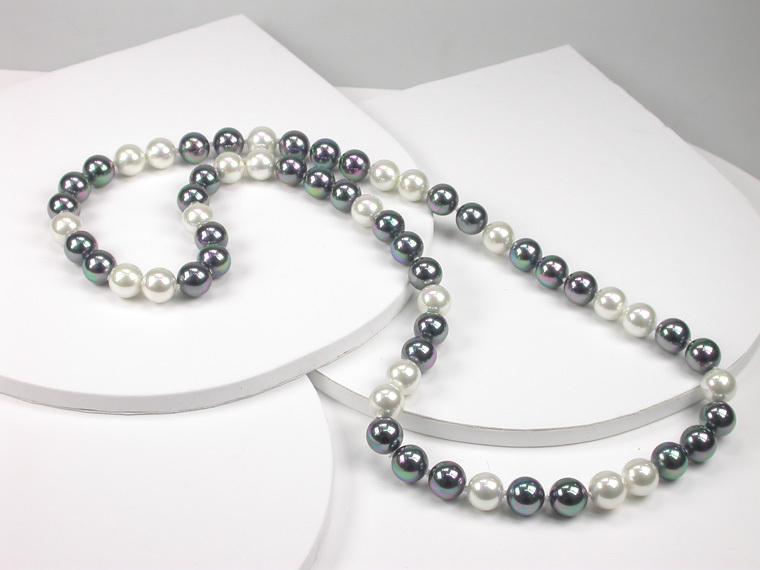 Necklace with round and barroque Black&White Pearls and a gorgeous Pendant in shape of a Teardrop.